The Two Falcons - Something New Everyday! ​ Once there was a king who received a gift of two magnificent falcons from Arabia. 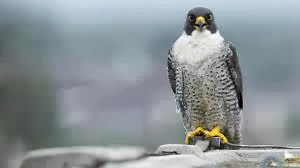 They were peregrine falcons, the most beautiful birds he had ever seen. He gave the precious birds to his head falconer to be trained. With head bowed, the farmer said to the king, " It was very easy, your highness. I simply cut the branch of the tree where the bird was sitting." We are all made to fly - to realize our incredible potential as human beings. But instead of doing that, we sit on our branches, clinging to the things that are familiar to us. The possibilities are endless, but for most of us, they remain undiscovered. We conform to the familiar, the comfortable, the mundane. So for the most part, our lives are mediocre instead of exciting, thrilling and fulfilling. So let us learn to destroy the branch of fear we cling to and free ourselves to the glory of flight..
Story - Train Situation - What Would You Do?